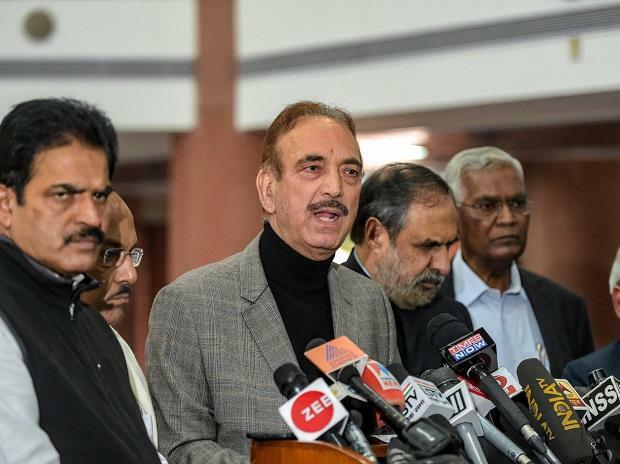 Political parties Saturday put up a united face and expressed India's determination to fight terrorism following the Pulwama terror attack, underlining their solidarity with security forces for defending the country's unity and integrity. A meeting of all political parties, including the BJP and the Congress, passed a resolution condemning the terror attack and support being given to it from across the border. The resolution did not name Pakistan but asserted that India has been facing the menace of the cross-border terrorism which of late, it added, is being actively encouraged by forces from the neighbouring country. "India has displayed both firmness and resilience in dealing with these challenges. The entire nation speaks in one voice to express its determination to fight these challenges. Today, we stand united in solidarity with our security forces in fighting terrorism and in defending the unity and integrity of India," it said. The meeting convened by Home Minister Rajnath Singh was attended by Ghulam Nabi Azad, Anand Sharma and Jyotiraditya Scindia of the Congress, Sudip Bandyopadhyay and Derek O'Brien of the TMC, Sanjay Raut of the Shiv Sena, Jithendra Reddy of the TRS, D Raja of the CPI, Farooq Abdullah of the National Conference, Ram Vilas Paswan of the LJP among others. The parties were briefed about the attack in Pulwama in South Kashmir and the steps being taken by the government so far, a Home Ministry official said.